The first full week of the 2014 college baseball season (Feb. 17-23) has yielded 10 honorees on the latest CB360 Primetime Performers Weekly Honor Roll, as presented by CollegeBaseball360.com. 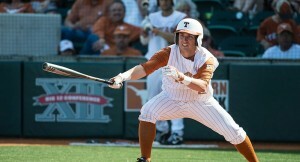 University of Texas senior centerfielder and 2-hole hitter Mark Payton (Chicagi, Ill.) is the CB360 Primetime Player of the Week, while University of San Francisco fifth-year senior righthander Hiouston Hibberd (Los Gatos, Calif.) is the Primetime Pitcher of the Week and Cal Poly freshman Slater Lee (Carlsbad, Calif.) has been selected as the week-2 CB360 Primetime Rookie of the Week. Scroll down for detailed player capsules on each of the 10 honorees, including head shots and action photos. The first full week of the 2014 college baseball season (Feb. 17-23) has yielded 10 honorees on the latest CB360 Primetime Performers Weekly Honor Roll, as presented by CollegeBaseball360.com. 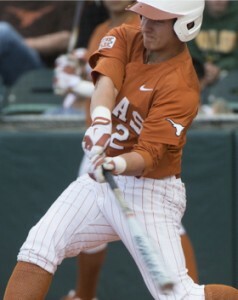 University of Texas senior centerfielder and 2-hole hitter Mark Payton (Chicago, Ill.) – pictured at right – is the CB360 Primetime Player of the Week, while University of San Francisco fifth-year senior righthander Houston Hibberd (Los Gatos, Calif.) is the Primetime Pitcher of the Week and Cal Poly freshman Slater Lee (Carlsbad, Calif.) has been selected as the week-2 CB360 Primetime Rookie of the Week. * Hibberd is the CB360 Primetime Pitcher of the Week, Payton the Primetime Player of the Week and Lee the Primetime Rookie of the Week. All photos courtesy of the respective schools. Veteran centerfielder who played central role in Crusaders split of their season-opening 4-game series at cb360 #5 Mississippi State (2-6, 4-8, 7-6, 6-1), which had opened its season the previous week at home … hit 7-for-15 with 12 total bases (home run, two doubles) and 10 times on base, adding three walks while showing his versatility with a sacrifice bunt … scored four times, with two RBI in the series … hit safely in all four games, while doing battle against the 2013 CWS runner-up squad amidst the electric atmosphere of Dudy-Noble Field … reached base six times spanning the pair of wins vs. the Bulldogs, batting 3-for-6 with three walks (plus the sac. bunt) … doubled and scored in the series opener before batting 3-for-5 with a 2-run home run in gm-2 (the rest of the Crusaders hit .259 with nine strikeouts in that 8-4 loss) … helped push Holy Cross past the host team in second game of Saturday doubleheader, after reaching base four times in that 7-6 win (2-for-3, 2 BB) with a double and two runs scored … walked and scored to help Crusaders jump out to 3-0 lead in first inning of that win, later hitting a leadoff double and scoring another run in the 3rd (helping reclaim the lead, 5-3) … also hit leadoff single in the 5th and drew 2-out walk in the 7th inning of that gm-3 win … reached base twice more (1-for-3, BB) in 6-1 series finale win, with his 7th-inning sac. bunt advancing a teammate who came around to score … has reached base in 20 consecutive games, dating back to the 2013 season … third-year starter who earned second team all-Patriot League honors in 2012 (hit .323 with 28 RBI, 5 HR) and again in 2013 (.333, 30 RBI, 2 HR) … product of Boston College High School. 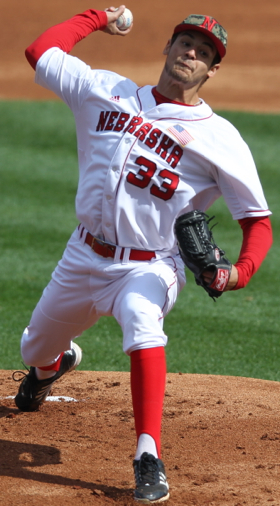 Nebraska … RHP … Sr.
Huskers ace who rose to the challenge against Oregon State team (cb360 #2) that was ranked atop several national polls … yielded only an unearned run in seven strong innings, with Nebraska rolling to the 9-2 upset as tournament host, in Surprise, Ariz. (avenging a 15-7 loss to Oregon State six days earlier, in nearby Tempe) … faced only 25 Oregon State batters, allowing four hits and one walk while striking out five … located two-thirds of his pitches for strikes (58 of 88) and was pushed to a 3-ball count only three times in the game … effective keeping the ball down in the zone, as 17 of his outs came via Ks (5), groundballs (11, including one double play) and an infield popup … two of his four hits allowed were hit through the infield … Oregon State’s lone run came courtesy of a third-inning passed ball … pitched in a tight ballgame (0-0 or 1-0) for the first five innings, until the Huskers scored four in the 6th … faced the minimum three batters in five of his seven innings, including the third when a 1-out walk was erased with a caught stealing … retired the first six batters he faced (four via Ks, plus one groundout) … did not allow any hits from the first five batters in the Oregon State batting order (0-for-14, with one walk and four Ks) – including the dangerous 3-4-5 hitter stretch of All-American Michael Conforto, Dylan Davis and Kavin Keyes (each was 0-for-3 with a K) … delivered Nebraska’s first win over a No. 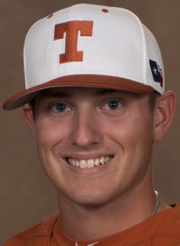 1-ranked opponent since 2005 … former junior college transfer who attended North Central Texas College in 2011 and Blinn CC in 2012 … converted from long-relief role in 2013, when he emerged as the staff ace en route to going 7-4 with a 3.21 season ERA (46 Ks and 15 BB in 96.2 innings; .285 opp. batting avg.) …Texas native who starred at Foster High School. 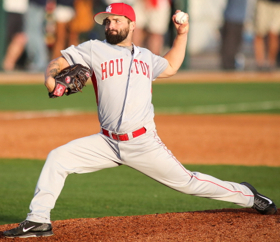 Houston … LHP … Sr. 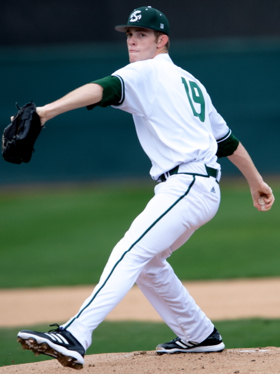 Came out of the bullpen in tight game at crosstown rival Rice (cb360 #15) and responded with 5.1 dominant shutout innings – in addition to working out of an inherited bases-loaded jam, as Cougars clung to 1-0 lead before scoring two in the 9th for 3-0 final … faced only 18 Owls batters (two over the minimum) and did not work to a three-ball count against any of them (with only one 2-ball count) while locating 82% of his pitches for strikes (44 of 54) … limited Rice to a pair of hits and no walks, with two strikeouts … later pitched 2.2 shutout innings of middle relief (plus stranding two inherited baserunners) in game-3 vs. Michigan, holding the fort as Houston later went on to win 4-3 and sweep that series … his totals for the week included allowing only three hits and no walks in 8.0 shutout innings, with two Ks and a lowly .111 opponent batting avg. … had to deal with a total of five inherited baserunners during the week, with all of them left stranded … entered Rice game with bases loaded in the 4th and quickly squashed the threat, striking out Leon Byrd on three pitches for a rally-ending K (swinging) … set down the side in order during three of his five full innings vs. Rice, including a closing stretch in which he retried the final eight batters he faced … entered Michigan game in top of the 4th with Cougars trailing and two runners aboard, but kept the deficit at 3-1 by inducing a first-pitch flyout from Cole Martin … ended up retiring eight of the nine Wolverines he faced (1 H), with Houston rallying in the 7th en route to 4-3 series-sweeping win … located nearly 60% of his pitches for strikes vs. Michigan (19 of 33; only two 3-ball counts) … has yet to allow a run in three appearances and 9.1 innings this season (4 H, no walks and 4 Ks) … key reliever on Houston staff that has allowed runs in only four of 64 innings so far this season (the Cougars have started 7-0), with a 0.84 staff ERA … former junior college transfer from Alvin CC … made 16 relief appearances with the Cougars in 2013 (4.32, 2-1, 2 saves, 26 Ks and only 5 BB in 25 IP; .240 opp. avg.) 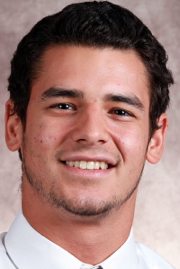 … hails from same hometown, Richardson, Texas, as fellow week-2 Primetime Performer Christian DeLeon, a senior pitcher for Nebraska (see above; Ford pitched for Travis High School and DeLeon for crosstown rival Foster HS). 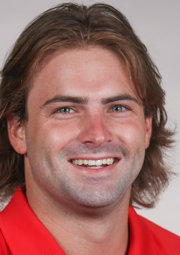 San Francisco … RHP … 5th-Yr.-Sr. Unlikely hero in 19-inning marathon at Cal State Fullerton, pitching 7.1 shutout, no-hit innings in relief to pick up the win (6-5) in game that had been deadlocked since the 5th … faced only three batters over the minimum (25), with all three baserunners coming in the 13th as he worked around two hit batters and a walk … former junior college transfer who had pitched only 4.2 innings in his USF career (2013-14, after redshirting in 2012) – before being pressed into duty as the fourth of five Dons pitchers in the (very) extended series opener at Fullerton … retired the Titans 1-2-3 in all six of his other full innings, including the 14th through the 18th (he ended the game with 16 straight outs) … kept the ball in the infield for most of his outing (20 of 25 batters), with six strikeouts, nine groundouts, two infield popups and only five flyouts … one of his strikeouts came on a called third strike and it was a huge one – after inheriting runners on first and second in the bottom of the 11th (2-hole hitter Taylor Brant went down “looking” to end the threat) … did not allow a hit (in 22 official at-bats) from potent Fullerton offense that won 12-0 on opening day vs. Washington State and would go on to win 11-0 in gm-2 of the San Francisco series … worked in and out of a 13th-inning jam, after issuing free passes (HBP, walk) to the first two batters (Fullerton tried the sac. bunt but it yielded a 3-5 putout across the diamond, followed by a 6-4 groundout and Brant striking out on a full-count high fastball) … the first meeting ever between the Dons and the Titans proved to be a memorable one, providing the longest game in Cal State Fullerton baseball history and the highest-ranked opponent ever defeated by USF … made six very short relief appearances during the 2013 season (2.2 total innings; 1 R, 5 K) … played at West Valley College before transferring to USF and redshirting in 2012 … led the Cal Ripken League with 60.2 innings pitched during the 2011 summer season, compiling a 2.08 ERA and three complete games as a league all-star for the Rockville Express (he then led the Danville Dans with 72.2 innings during the 2012 Prospect League summer season) … his father Huck Hibberd played baseball at San Jose State and was a pitcher in the minor leagues with the Rangers organization … product of Los Gatos High School. 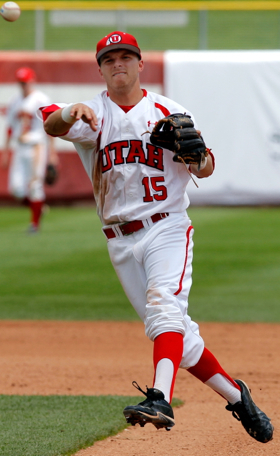 Provided consistent and clutch production from the bottom of the Utah batting order throughout week-2, as Utes went 3-1 with wins over cb360 #12 Indiana, (39) Nebraska and a Sacramento State team that won later in the week at Texas A&M (the Utes lone loss during the week came against a Michigan State team that upset top-ranked Oregon State) … had two hits in all four games, batting 8-for-15 with four RBI and three runs scored while playing error-free at shortstop spanning 23 fielding chances (he also helped turn two double plays) … his production over the four games also included a stolen base, executing a sacrifice bunt and reaching on a hit-by-pitch … reached base three times (2-for-3, HBP), drove in two runs and scored another during 5-4 win at Sacramento State, adding a stolen bases … followed with another 2-for-3 game and two runs scored in 8-5 loss vs. Michigan State, in Surprise, Ariz. … the next day against Indiana, he executed a 5th-inning sacrifice bunt before delivering two huge RBI singles in extra innings – as Utes won 5-4 in 15 … joined relief pitcher Nick Green (pitched from the 8th into the 15th, allowing only an unearned run) as Utah’s extra-inning heroes in that extended action … Indiana took a 4-3 lead in the top of the 13th, but Hunt came through with two outs in the bottom of the frame – singling through the right side to bring home Max Schuman and extend the game … then, in the 15th, his 2-out single to the left-center gap plated Schuman again to end the game … closed the weekend by batting 2-for-4 with 11 error-free fielding chances (including a double play) in the 4-3 win over Nebraska … batting .296 for the season, with four RBI and four runs scored in seven games (BB, 2 HBP, 2 sac. 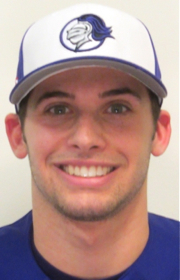 bunts, 3 SB, no errors on 35 fielding chances) … hit .287 as a junior in 2013 (20 R, 18 RBI, 2 HR) … missed a month of the 2012 season due to injury (.219, 8 RBI), after playing sparingly as a freshman … his father Jim Hunt played baseball at Utah in the early 1970s … product of Jordan High School. 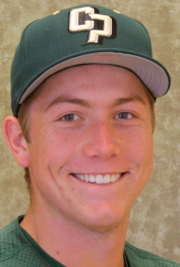 Cal Poly … RHP … Fr. 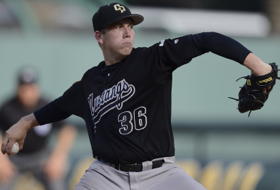 San Diego area native who twirled a two-hit shutout in his SoCal return at defending NCAA champion UCLA (cb360 #11), with that 8-0 win squaring the series (the Mustangs also won gm-3) … the performance marked the first time since 1996 that a Cal Poly pitcher has gone the distance while allowing two or fewer hits – and the first time it has been fashioned by a Mustangs freshman, in the program’s 20-year Division I era … faced only 31 batters (four over the minimum), with the others reaching via a hit batter, a walk (erased on a 2-3 pickoff) and an infield error … struck out seven Bruins batters while generally keeping the ball in the infield for a large chunk of the game, as 22 of his 27 outs came via Ks (14), groundballs (14) and the 3rd-inning pickoff … located nearly 70% of his pitches for strikes (73 of 108) while reaching a 3-ball count only four times in the game (none over his final 22 batters faced, 20 of which were retired) … the only baserunners that he allowed after the 3rd inning came on a 2-out error in the 5th and an infield hit by the ensuing batter … logged six 1-2-3 innings, including final stretch in which he retired 13 straight to end the solo shutout … delivered first-pitch strike to 24 of his 31 batters faced and allowed only three runners into scoring position (two of them coming in the 1st) … after opening up by allowing leadoff single to center by Brian Carroll, he yielded only one hit the rest of the way (one that did not leave the infield) … after 1st-inning jam, he allowed only two more baserunners that were of his own making (hit, walk or HBP) … left two runners on in the opening frame, after inducing a 4-3 grooundout from 5-hole hitter Pat Gallagher … similarly ended the threat in the 5th on a 4-3 groundout from Carroll … three of his strikeouts came on called third strikes, including two to end the 7th … impressive start to his college career includes a 0.59 ERA spanning 15.1 innings, allowing only four hits and two walks while averaging nearly a strikeout per innings (14) … won his debut in game-2 of home series vs. cb360 preseason #18 Kansas State (6.1–R–2H–BB–7K), with that 5-2 victory preceding a series sweep for the Mustangs (who headed home from UCLA with a 6-1 season record) … product of Carlsbad High School. 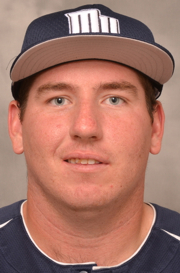 Monmouth … LHP … Sr.
Won Monmouth’s season opener in impressive fashion, going the distance while facing only 31 batters and yielding no earned runs (one unearned) in 5-1 win at cb360 #31 Florida Atlantic (which had scored 31 runs the previous week in a 3-gm series vs. Notre Dame) … allowed only four hits and no walks, while helping erase three of those baserunners – via an L3 double play, a game-ending 643 DP and a runner thrown out trying to steal home (he supplied the tag) … those deleted baserunners were replaced by in the final batters faced total by three other FAU hitters who reached on errors (including two in the 9th, when FAU scored its unearned run on a sac. fly) … his 27 outs included six strikeouts and 14 others that stayed in the infield (six on groundballs, seven others through popups/foulouts/lineouts, and the caught-stealing at the plate) … registered 17 outs over opening span of 17 batters faced, later adding 1-2-3 innings in the 7th and 8th … named 2013 Northeast Conference Pitcher of the Year, after going 8-2 with a 2-12 ERA (69 Ks and only 15 BB in 110.1 innings; .223 opp. batting avg.) … went 7-4 as a junior in 2012 (4.58; 61 Ks and 24 BB in 76’2; .267 opp. avg.) 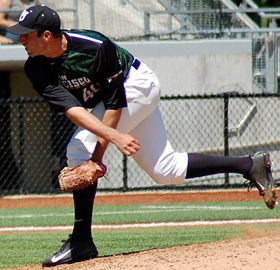 … a Freshman All-American and first team all-NEC performer in 2011, after compiling a 2.51 ERA in 46.2 innings (5-3; 35 Ks, 11 BB; .276 opp. avg.) … product of Toms River South High School. 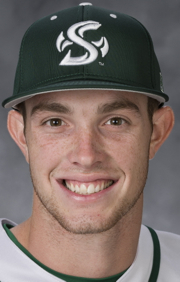 Sacramento State … RHP … Sr./Jr. Strung together seven shutout innings during tight battle at Texas A&M (cb360 #23), leading Hornets to 1-0 victory amidst electric atmosphere with nearly 5,000 fans on hand at Blue Bell Stadium … scattered six hits and one walk, while benefitting from three double plays to face only 25 batters (with a pair of strikeouts) … located nearly two-thirds of his pitches for strikes (48), in efficient 77-pitch outing … delivered the victory in program’s first game ever against a Southeastern Conference opponent … combined with closer Sutter McLoughlin to shut out Aggies team that had racked up 34 runs during its 4-0 start … touched for only one extra-base hit, helping offset minimal offensive support from the Sac State hitters (who went 3-for-31 with only two bases on balls) … allowed only one runner to reach scoring position (none made it to third base) – the first coming via a 1-out groundout in the 2nd inning, and the second on a 2-out double in the 5th … one weak earlier, he won on Opening Day, 3-2 against a Utah team that went on to upset Indiana and Nebraska during week-2 … has compiled a 1.38 ERA through 13 innings this season, with seven Ks and only one walk (11 hits allowed) … took a redshirt season in 2011 before making 15 appearances (seven of them starts) in 2012 (2-3; 28 Ks in 37.1 innings) … made 13 starts among his 16 appearances in 2013, going 4-6 with a 3.89 ERA (43 Ks, 19 BB in 74 IP; .258 opp. batting avg.) … product of Gridley High School. 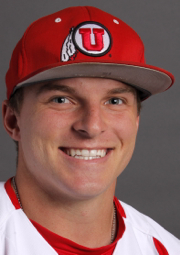 One of college baseball’s top returning all-around hitters who has picked up right where he left off in 2013, when he hit nearly .400 (.393), slugged .545 and had an on-base pct. of .483 … has batted at a .613 clip (19-for-31) over the first eight games of the 2014 season – including 10-for-14 with six walks during second-week action, which included a win over Texas A&M-Corpus-Christi before taking 2-of-3 vs. visiting Stanford (cb360 #47) … ended the Stanford series having reached base in 47 consecutive games, dating back to the 2013 season (with an active 17-game hitting streak, spanning both seasons) … scored (4) or drove in (4) eight of the Texas runs during week-2, with 14 total bases matching his 14 at-bats, to go along with the 16 times on-base (an impressive avg. 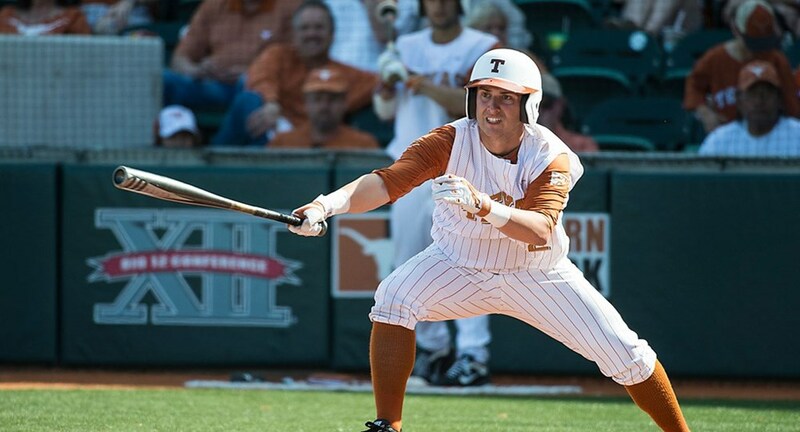 of four times on-base per game during the week) … hit 2-for-4 with a walk and two runs scored in the 10-0 midweek win over A&M-CC … found himself on-base seemingly in every one of his plate appearances during the Stanford series (13 of 15, to be exact), after batting 8-for-10 with five walks vs. the Cardinal (4 RBI, 2 R) … some quality college players can go an entire season without hitting multiple triples, but Payton tripled in back-to-back games to open week-2 (vs. A&M-CC and in the 9-3 win over Stanford) … he also had tripled during the season-opening series at Cal, as part of his 9-for-17 batting over those four games … hit 4-for-5 with three RBI and a run scored in the gm-1 win over Stanford, highlighted by his early 2-out/2-run triple … kept up his tremendous production the next day by reaching base five times (3-for-3, 2 BB; RBI, run, stolen base) in the tightly-contested second game, a 4-3 win for the ‘Horns … pulled first-inning single into the right-center gap, advancing Brooks Marlow as both would come across to score for early Texas lead in gm-2 … later delivered with 2-outs in the bottom of the 7th, driving an RBI single up the middle for 3-2 lead – while yet another clutch 2-out plate appearance, a walk in the 9th, advanced Collin Shaw and Marlow (the game ended moments later on a wild pitch) … closed the week by reaching four times (1-for-2, 3 BB) in 11-5 loss to the Cardinal (his 2-out walk in the 4th helped lead to a Texas run) … his 2014 season totals through eight games include the .613 batting avg. (19-for-31) and a ridiculous 1.608 OPS (.676 on-base plus .935 slugging), along with five extra-base hits (HR, 3 3B, 2B), eight RBI, seven runs scored and six walks (giving him 25 combined hits and walks, or 3.1 per gm) … has struck out only once this season in 38 plate appearances, which include a sacrifice fly … a unanimous (no-brainer) pick for 2013 first team all-Big 12 honors, en route to finishing with the .393 batting avg. (best at Texas since 2002; 2nd-best in 25 yrs) and a team-leading 29 RBI … hit .322 while receiving second team all-Big 12 honors in 2012 (40 runs, 5 HR) … member of the 2011 Big 12 All-Freshman Team (.263, 25 RBI)… father David Payton played baseball at the University of Illinois … product of Chicago’s St. Rita High School. 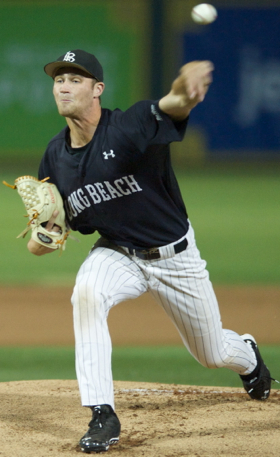 Long Beach State … LHP … Jr.
Rattled off a career-long eight innings while posting another career-best with eight strikeouts, fronting shutout win at cb360 #20 Arizona State (11-0) … faced 29 batters (five over the minimum) while working around six hits and a pair of walks … located 85 of his 118 pitches for strikes (72%) … 18 of his 24 outs came via Ks (8), groundballs (7), infield popups (2) and a caught stealing … faced the minimum three batters in the 1st, 5th, 6th and 7th innings (helped by a double play in the 6th and a 7th-inning tag that stopped a runner trying to stretch a single) … allowed only three runners into scoring position (one over his final six innings; none from the 5th-8th) … fielded a groundball and started 1-5-2 sequence that erased runner from third (in the 2nd inning) … half of his eight strikeouts came on called third strikes that tricked the ASU batters, including two to close the 7th (all three of his outs in the 8th were Ks) … has a 0.66 ERA over two starts this season but is 1-1, after losing season opener to one of nation’s top teams, Vanderbilt … averaging nearly a strikeout per inning (13 in 13.2), with only four walks and a .208 opp. 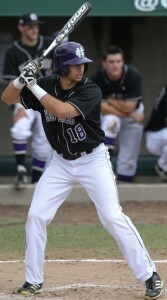 batting avg. 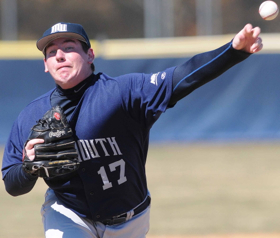 … split six decisions as a sophomore in 2013 (26 Ks and 20 BB in 39.1; .290 opp. avg.) 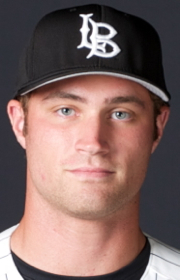 … made three starts and five relief appearances as a rookie in 2012 (10 Ks in 16 IP) … product of Monte Vista High School.